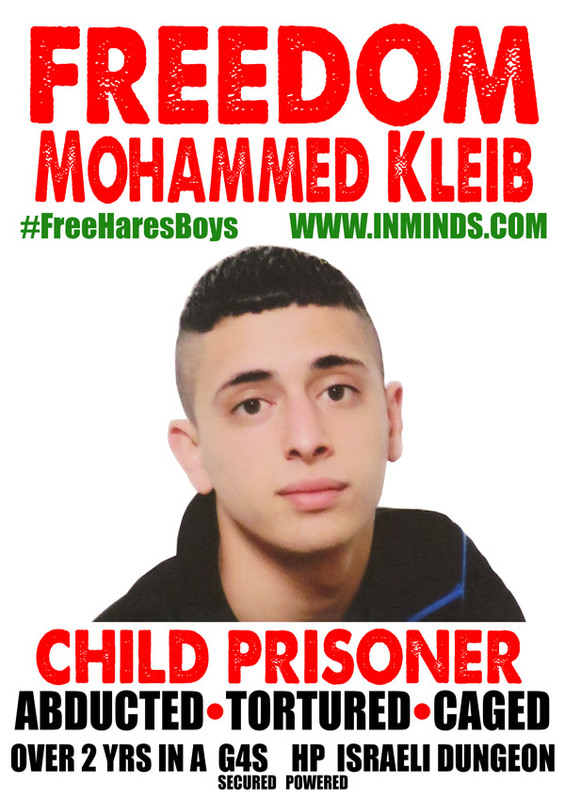 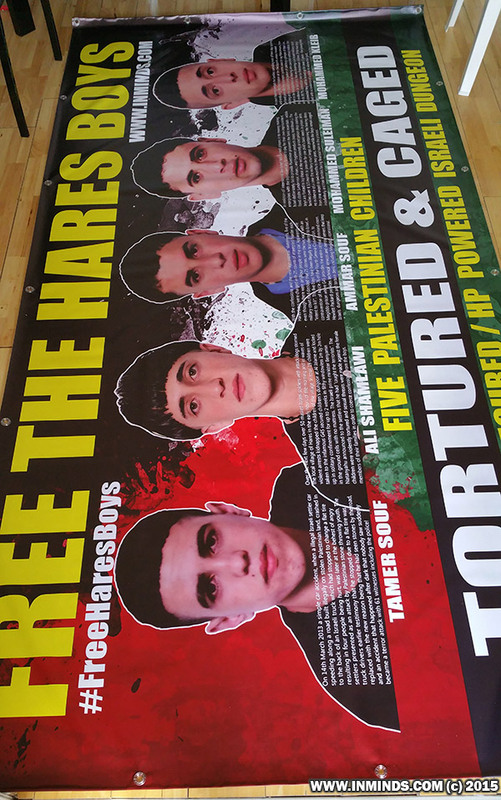 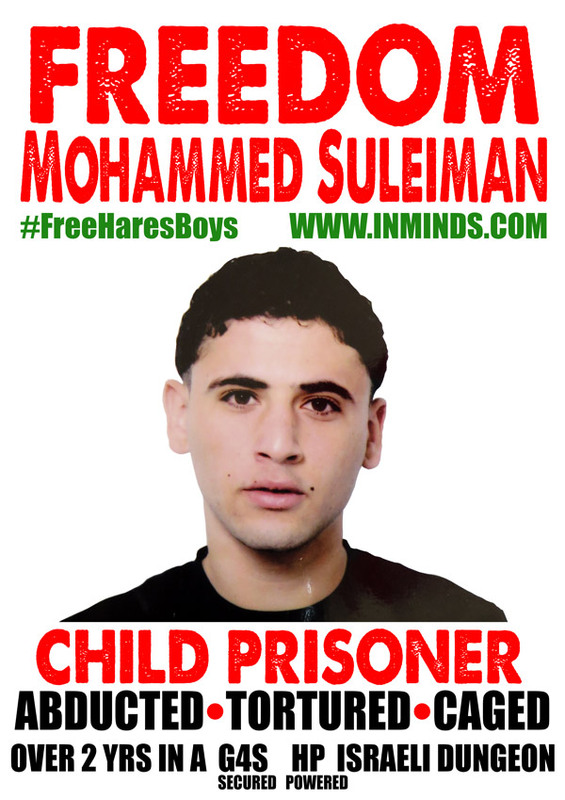 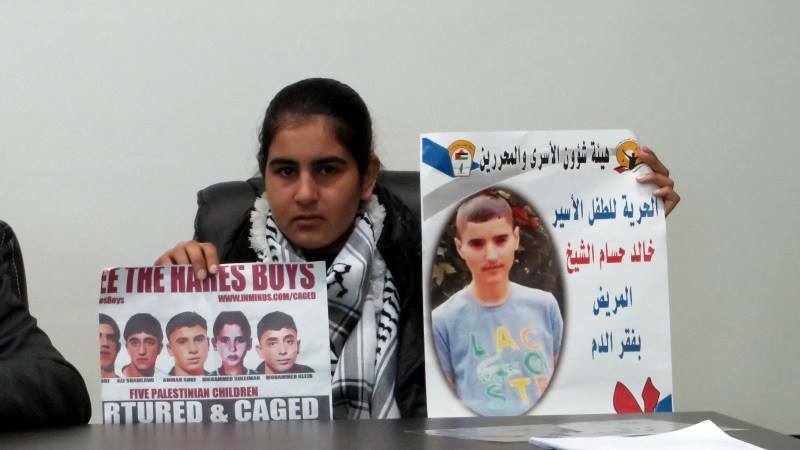 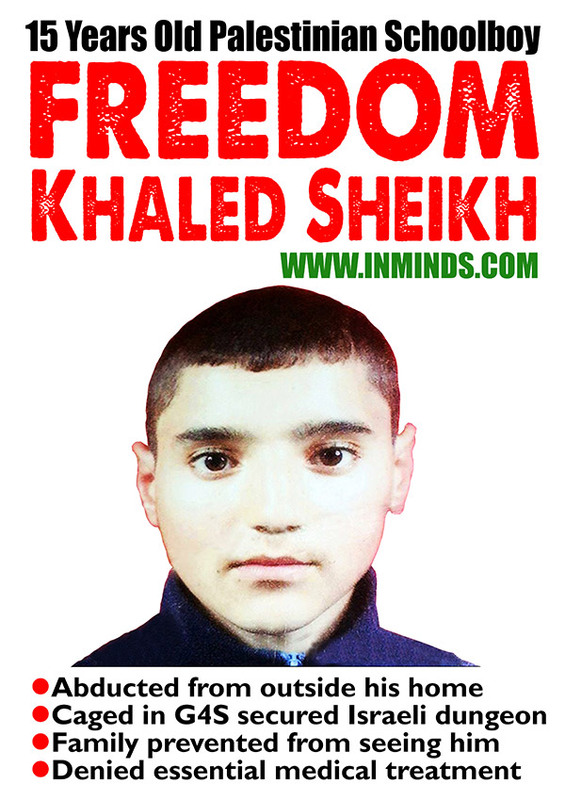 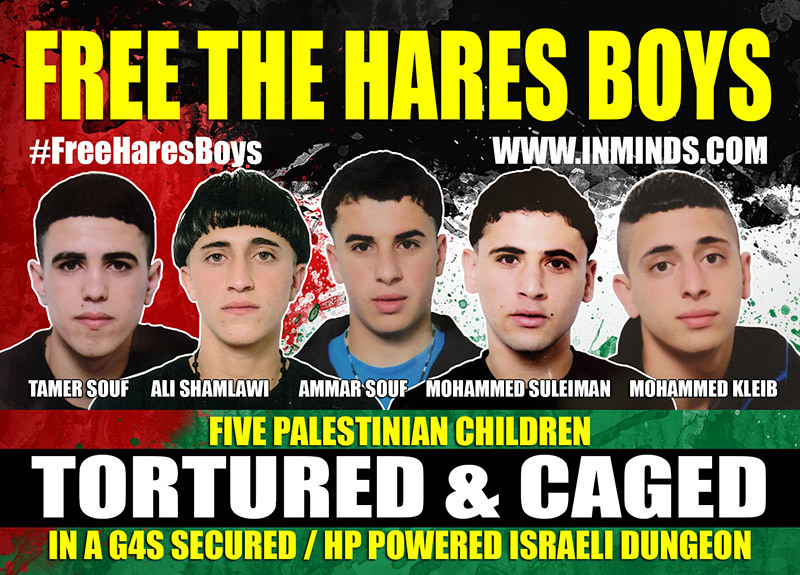 Five Palestinian children have been tortured and caged by Israel for 2 years for a crime that didn't even happen. 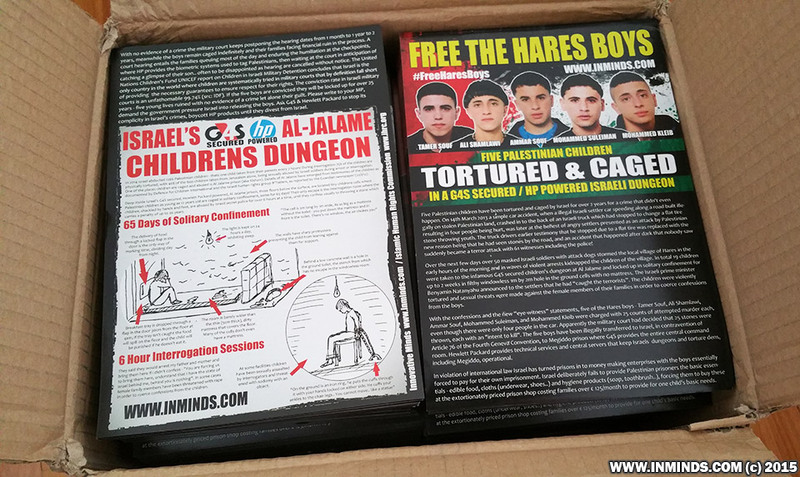 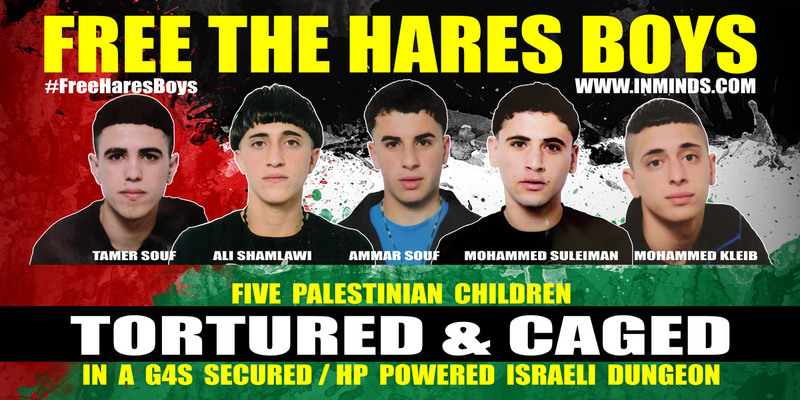 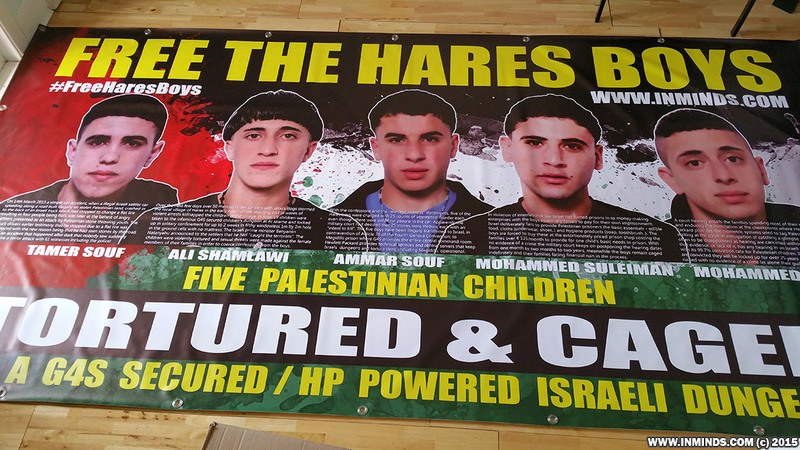 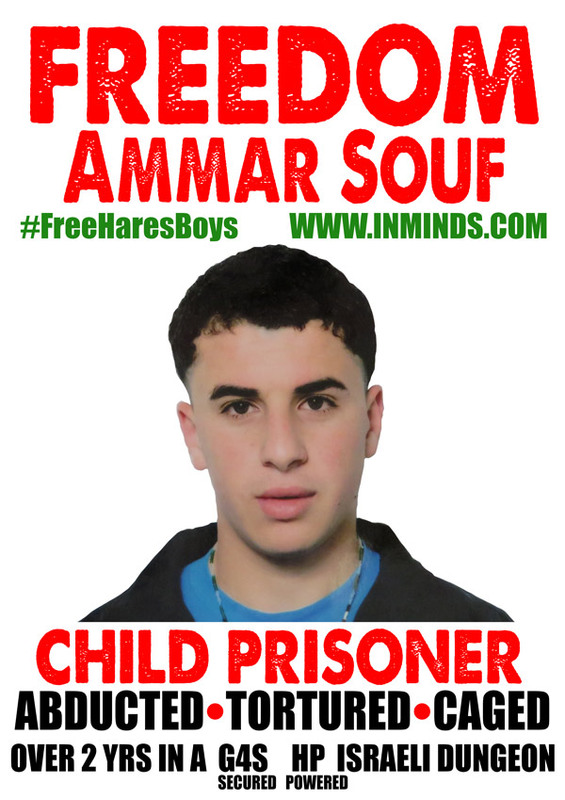 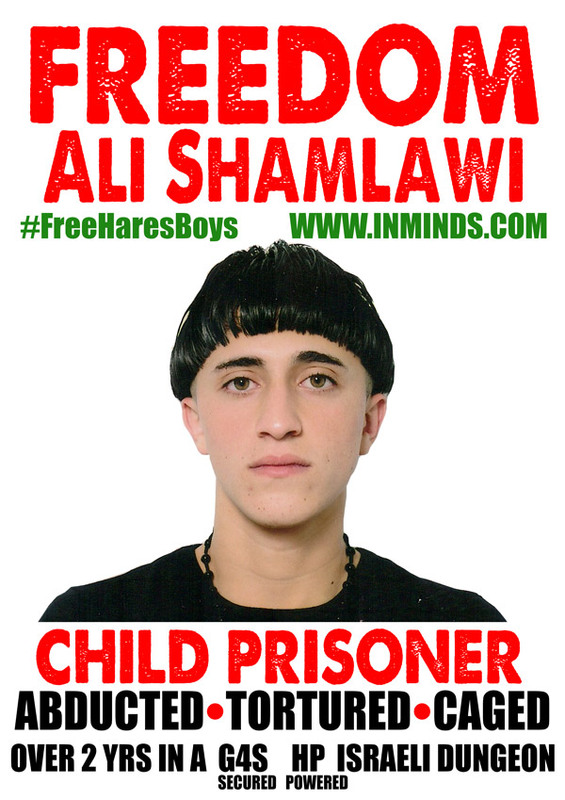 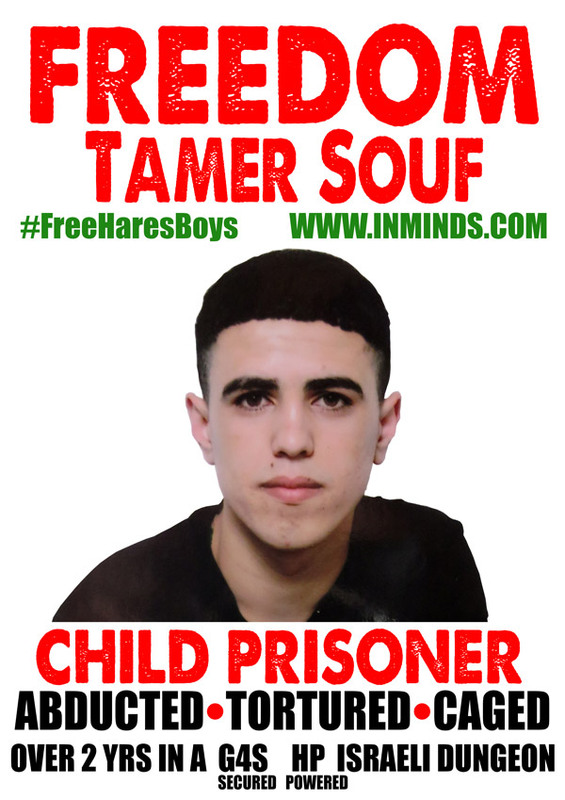 Please join us on the second anniversary of their abduction as we demand justice for the Hares Boys, outside the headquarters of the British security contractor G4S who secure Israel's notorious Al-Jalame interrogation centre, where the children were savagely tortured, and Israel's Megiddo prison where the children have been caged for two years. 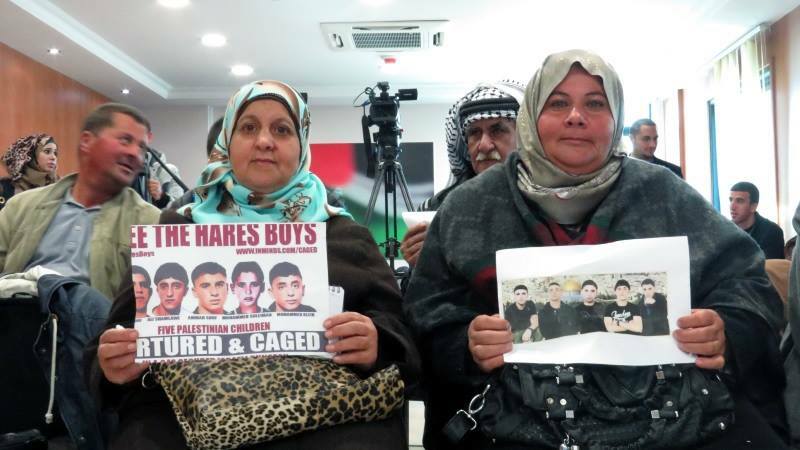 Hares Boys families at a press conference regarding Palestinian children in Israeli occupation jails, organised by the Palestinian Ministry of Detainees and Ex-Detainees Affairs in Ramallah. 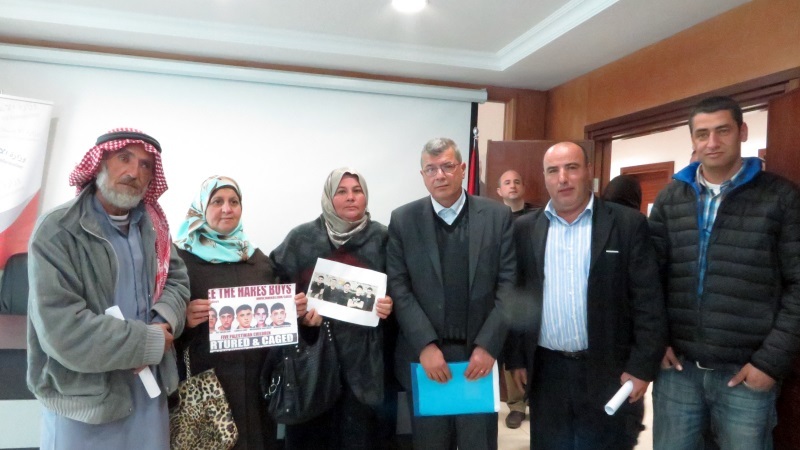 From left to right: Ali’s father, Ali’s mother, Mohammed S.’s mother, Issa Qaraqeh (Minister of Detainees), Tamer’s father, Mohammed K.’s father. 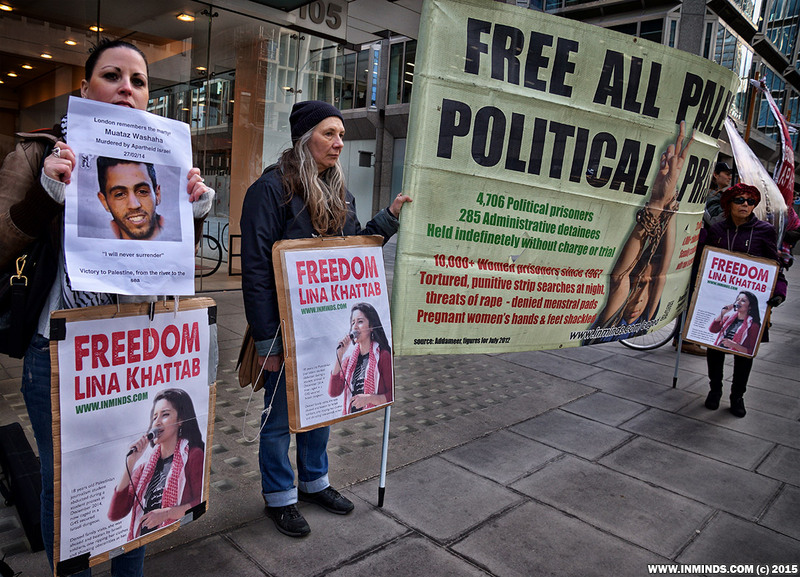 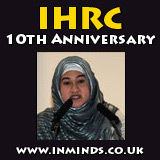 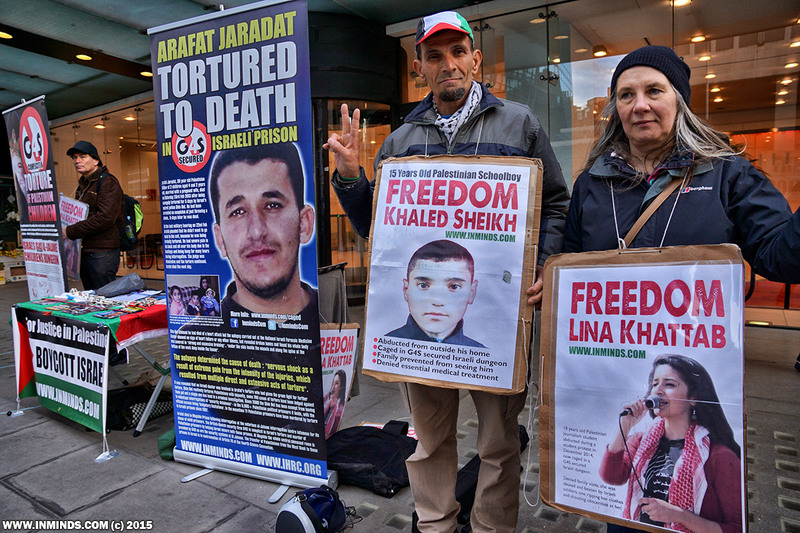 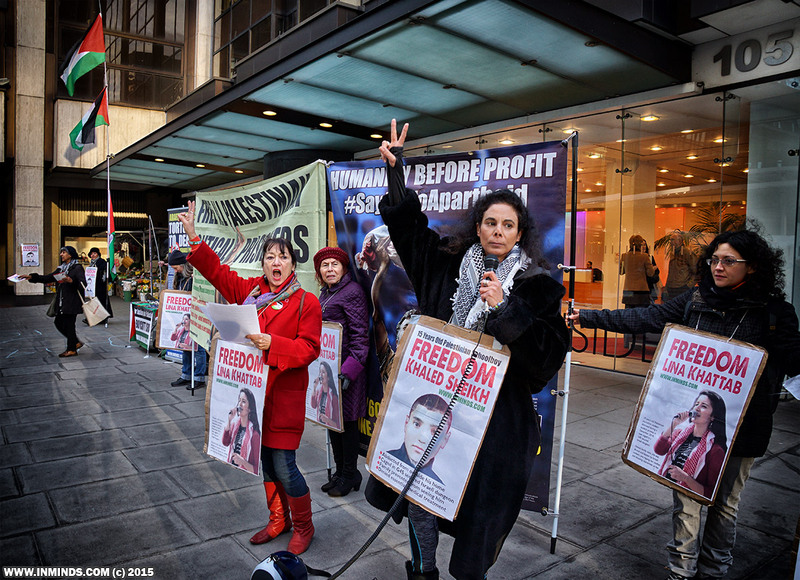 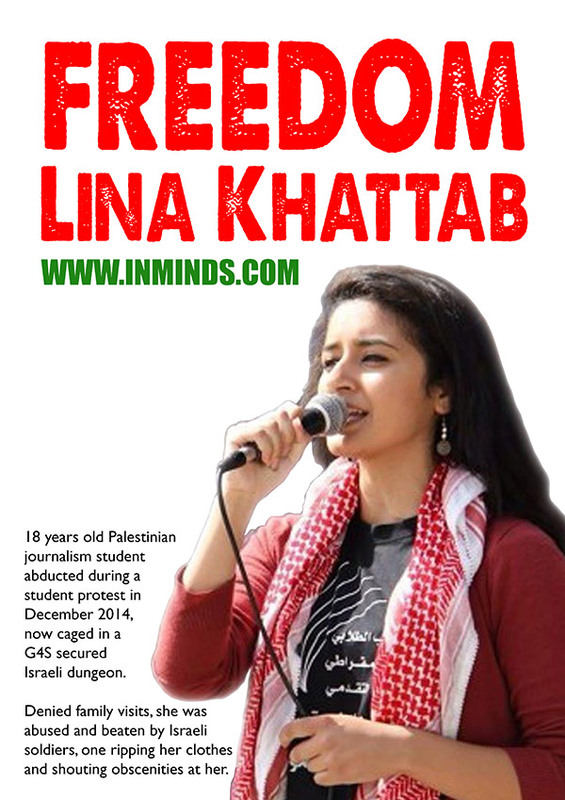 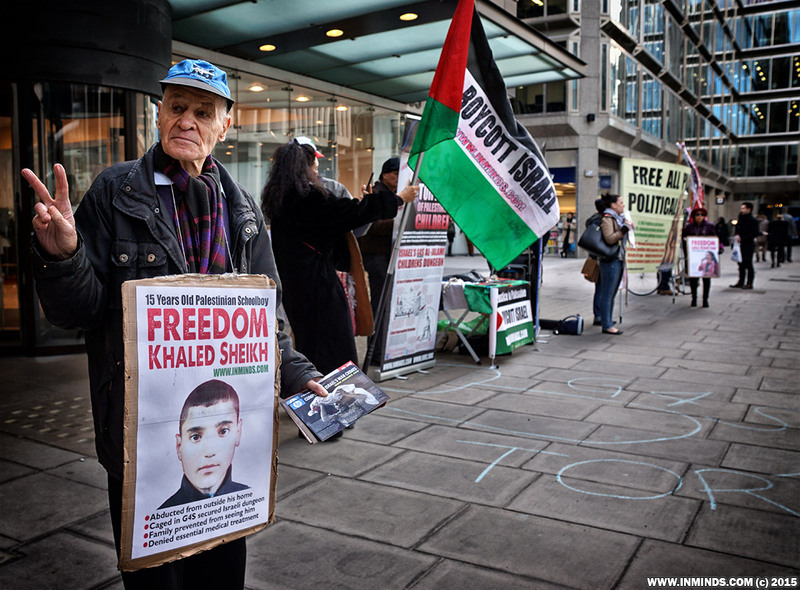 On 27th February as part of Israeli Apartheid Week 2015, we protested outside the headquarters of British security company G4S, as we demand the immediate release of 15 years old Palestinian school boy Khaled al-Sheikh and 18 years old Palestinian journalist student Lina Khattab, both caged in G4S secured Israeli dungeons at Ofer and HaSharon.